8kg Tumble Dryer / Condenser Dryer. 15 clothes care programs. 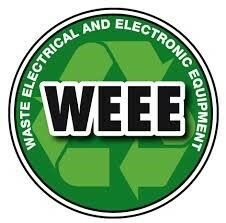 Good energy efficiency. Dimensions: 85cm(H)x59cm(W)x61cm(D). Timed drying. Silver finish. Drying clothes on radiators is untidy, makes the air your family’s breathing damp, and often damages your walls and decor. This very functional tumble dryer is a neat and tidy solution that will leave your house and clothes looking their best and your family in good health. It uses condensing technology – which means the water collects in a receptacle that you empty from time to time (there is an automatic tank full warning) so unlike other kinds of dryer you don’t need any plumbing or venting to incorporate one of these dryers into your home: put them anywhere. With 15 drying cycle options to pick from, you can give all your garments the delicate treatment they deserve. A large 8 kg capacity is designed to look after all your family’s clothes and special programmes include jeans, sports, wool and refresh. 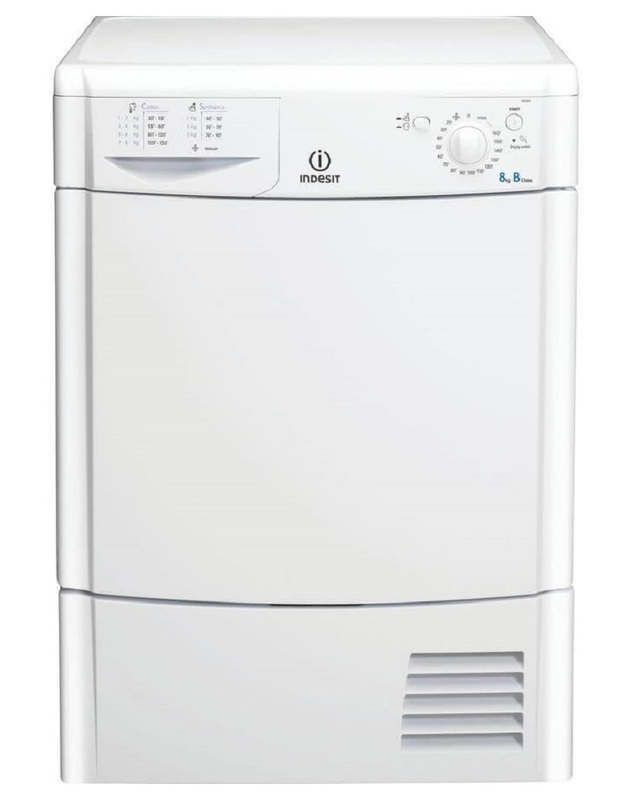 Enjoy fresh, dry, tangle-free clothes with the Indesit IDC8T3B Condenser Tumble Dryer in a smart white finish. White rarely clashes with your colour scheme and is easy to keep clean. The IDC8T3B Dryer benefits from dual anti-tangle rotation which reduces the chance of your clothes tangling and getting creased. That helps to make your ironing less of a burden too. The IDC8T3B has an easy-to-use button and dial mechanism, which makes choosing the right settings an easy task. A large water bottle allows you to get through more washing before it needs emptying, whilst a fluff filter helps catch any lose dust and wool. This dryer features a variety of programs to choose from, including Refresh option, which is ideal for new clothing or any items that you’ve worn once. An impressive range of heat settings help to keep your clothes protected by giving you the choice of a high or low temperature, depending on the garment.